- Sail away from the safe harbor. Explore. Dream. Discover. 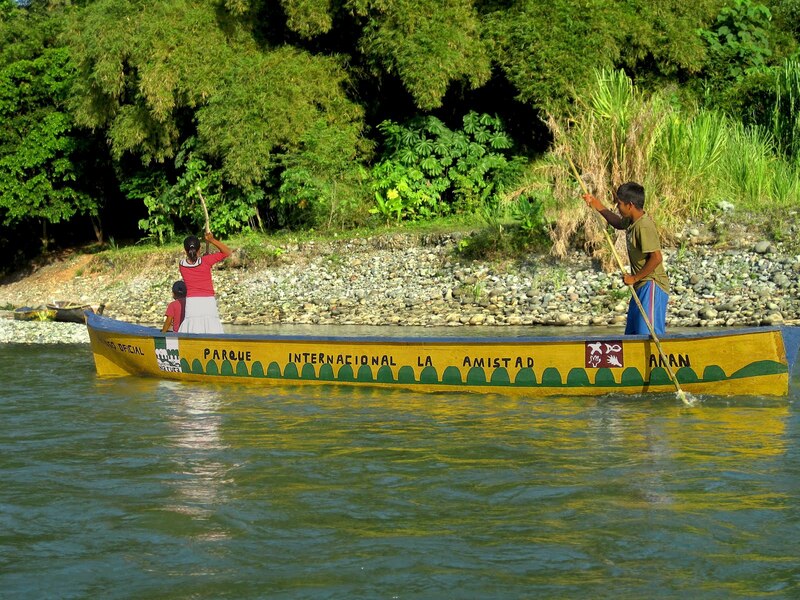 The small town of Boquete is one of Panama’s most precious scenic gems situated in the highlands with the picturesque Rio Caldera flowing along side the town. 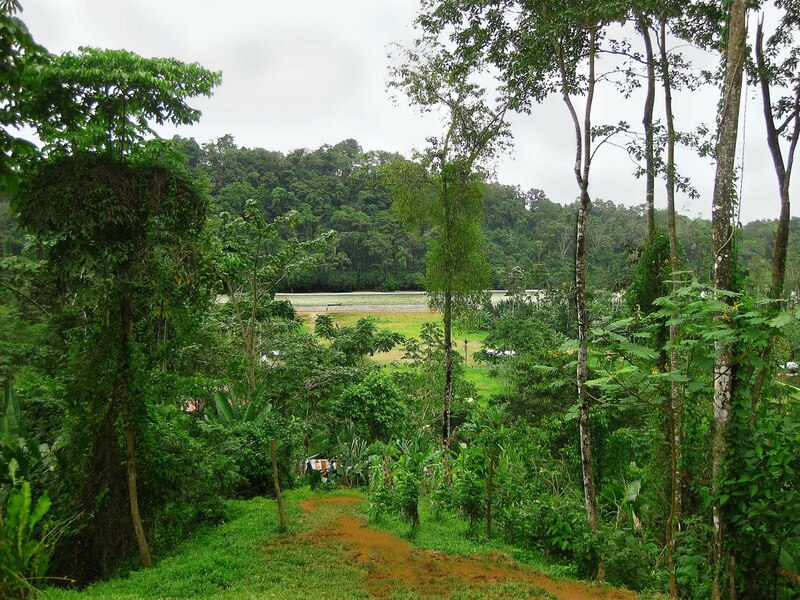 The attraction of this simple no frills town nestled in a valley are the countless rolling green hills a paradise for nature lovers, hikers, and even for those who enjoy walking at a leisurely pace. Walking has been one of my favorite means of exercise and now I never seem to tire hiking in Boquete’s stunning natural jungle up in the highlands whether it be in the Horqueta area, Bajo Mono the rainforest area, or hiking in the lower hot areas of Caldera. Each of these areas has an inherent beauty, which continues to capture my interest on each hike. The early morning aromas of spice and pine permeate the air, while the morning dew rests on top of foliage and on the bed of fallen leaves, and listening to the trickling sounds of the river in the background. This is why I hike on the many, many trails of Boquete. 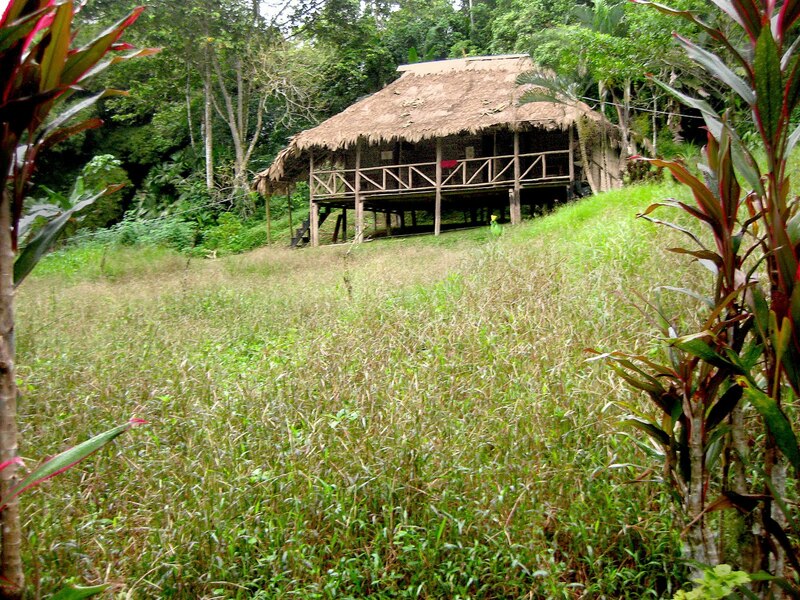 -Some trails have an abundance of different wild flowers, while others may show off a variety of orchids, or Bromeliads hanging high up on trees, Heliconias, Bird of Paradise, and sightings of various birds such as the Quetzale. The Quetzale is a beautiful bird, which you do not want to miss seeing in March and they can be seen on this trail. This is month when their breeding commences - the male, performs the courtship dance, calls out, loudly singing in order to attract females. This splendid bird is located in the cloud forests among lush vegetation, in very moist rainforest zones such as the Pipeline in Bajo Mono or the Quetzale Trail. My love for walking began in Chicago; well it really began while jogging along Lake Michigan in my thirties, then in my late forties, I began a power walk routine, and bicycling along Chicago’s lakefront trails after moving and living in walking distance to the lake. In my fifties, I began walking 10,000 steps and eventually found that amount of steps not very challenging so I began to walk longer. In Chicago, not very many of us go walking for long distances in the winter. It is just way to cold for that type of activity so one begins not to exercise very much at all in winter. Instead, I would go to the health club just to stay fit. However, I have to say that after moving to Boquete I am in better shape and feel healthier than ever. After living in Boquete for a short time, someone mentioned a walking group had formed; I joined it and began hiking the trails of Boquete. It took a while for my body to acclimate to the altitude – Chicago is flat land and Boquete well it is much higher. The group meets every Saturday morning at 8:00am - hiking for about a two-hour sometimes less. I call our outings hikes because well we are in Boquete with some areas being over 1,400 meters or over 4000 feet above sea level with some trails higher. Most of the terrain requires hiking boots for safety since many trails are uneven, rocky, with deep gaps, jagged, and with loose gravel. For some a walking stick is a big plus it is a balancing tool – I take mine on every hike and love it. The greater part of trails are on an incline whether hiking up or down - the majority of us are accustomed to walking on level ground only, and lower altitude. As a result hiking in Boquete may be a challenge for some at first however; your body as mine has will acclimate to Boquete’s altitude if you stick with it. In addition, a hiking group meets on Thursday starting at 8:30am frequently lasting longer about four to five hours and many times more difficult. Hiking is a great way to exercise, definitely vigorous at times. Most of the trails are up in the highlands and while some are on back dirt roads where few cars are driven. All in all the landscapes, countryside, and views are splendid – well it is beautiful Boquete. When you are exercising, the number of calories you burn depends upon your weight, the activity you are doing and the intensity level you exercise. Active people become slim and stay slim, because they know that burning calories allows them to eat a balanced normal diet, while enjoying physical activity. A person with a higher fitness level will probably exercise at a faster rate and therefore burn more calories than someone who does not work as hard. Whatever exercise activity you choose, you should aim to do it for at least 30 minutes and it should leave you slightly breathless at completion. Above all, you should enjoy the exercise so that you will keep repeating it every day. 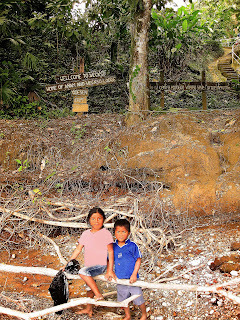 I decided to write about Boquete’s off the beaten path “hiking trails” to share them with my audience informing you there are many trails and dirt roads to explore in this wonderful area of Panama. If you want to join us one-day contact me, my email address is on my blog. Below is a list of the trails with a brief description of each. The hiking trails below may prove to be difficult at first if you do not walk very much or are sedentary. Here are my suggestions to get acclimatize; start by walking around town and take short walks that are on a slight incline. Begin your walking routine for a ½-hour the first 4 days then add 15-minute each week until you can walk for an hour. Do15-minute stretches prior to walking and stretch afterward. Always take water, wear sunscreen, a hat, or cap. When hiking in rainforest areas wear long pants and be prepared when hiking up in the highlands to get your hiking boots wet. What's more hiking on some of the trails prepare to walk on narrow footbridges that are not steady, balancing on rocks to cross-streams or rivers, climb over hefty fallen trees or around boulders. It is a wonderful way to exercise and get back into shape. 1. River walk Loop, 1 ½ to 2 hour – easy for the active person, a challenge for the inactive. A great hike close to town and good views. 2. Jaramillo Centro Loop, 1 ½ to 2 hour. Same as number one but steeper in the beginning then a slight incline going back to town. 3. Cemetery to Volcancito Road, 1 ½ hours for the experienced always on an incline going up, is a challenge for the beginner. 4. Il Pianista, short hike to Senor Ifrain’s property 1 to 2 hours. 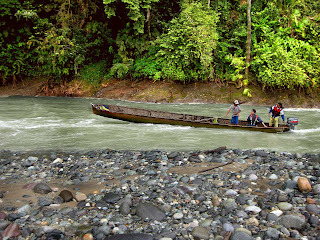 Trail is a slight incline all the way; balancing on stones and walking across a log is required while crossing a shallow river. Has beautiful landscape and scenery. 5. Cerro Pianista continue to hike in the rain forest from Senor Ifrain’s place 3-4 hours. This is more for the experienced. 6. Volcancito to CEFATI 1 ½-2 hours. Road hike on asphalt in the beginning then on a dirt road, then walk down steep stairs going down to main highway. 7. Alto Jaramillo, hike is up and down on dirt road, gravel road 3 to 4 hours. This area has great views of ocean inlets and Boquete and is challenge for the beginner. 8. Past Alto Jaramillo, 4 hours. Begin hiking downward to Piedra India slight incline the entire way then on an incline. It is a long hike, never made it to Piedra India. 9. Buenos Aires- #1 Trail is along a river going up to Cerro Buenos Aires 3-4 hours. Great hike on a steady upward incline rough terrain. Definitely, for people who are fit and enjoy mountain climbing. There are many birds, great views, narrow rough terrain. 10. Buenos Aires-#2 trail is a dirt road passing cattle meadows 3 hours. Easier than number nine but still on an incline and rough terrain in some areas. 11. Cascada Escondido AKA Pipeline Trail this one is before the Quetzales Trail 3 hours. Steady incline but easy, trail is narrow, wonderful old growth, may hear Howler Monkeys early morning or mid afternoon and we have seen Quetzales in March. At the end of this trail is a beautiful waterfall but you must walk across some rocks to find it. 12. Quetzales Trail 4 hours but did not hike to Cerro Punta. Many birds, beautiful trees, a sheep farm, and the best trout farm along the way. This trail leads to Cerro Punta. Trail is not mark so take your chance when hiking to Cerro Punta. 13. Horqueta Trail 1, 4-5 hours Steep dirt road hike down into this valley then the trail changes upward to a steady incline. 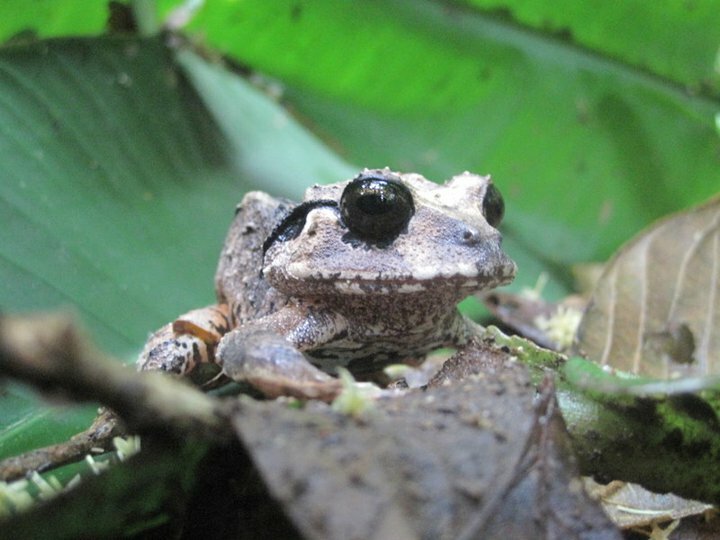 You may see and hear Howler Monkeys early, many birds, and orchids. 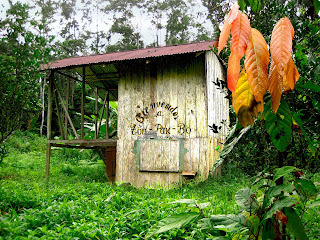 Trail is along coffee fincas. Met the owner of one and he led us further up into hills. Great hike! 14. Horqueta Trail Loop 2, 2 ½ hours. Steadily down hill, loose rock, uneven trail until the main asphalt road then hike up to the dirt road to the top again. Take another dirt road to lengthen the hike. 15. La Estancia Loop number one 3 hours. Begin at la Estancia hike down onto dirt road and up onto asphalt road looping back to La Estancia. 16. La Estancia to Palmira Centro 4 hours. Begin at La Estancia walk down dirt road continues on dirt road to Palmira Centro hike back. 17. Las Brisas Boqueteneas Canyon 2 hours. Hiking down the canyon is rough terrain with loose rocks so walking stick is helpful. 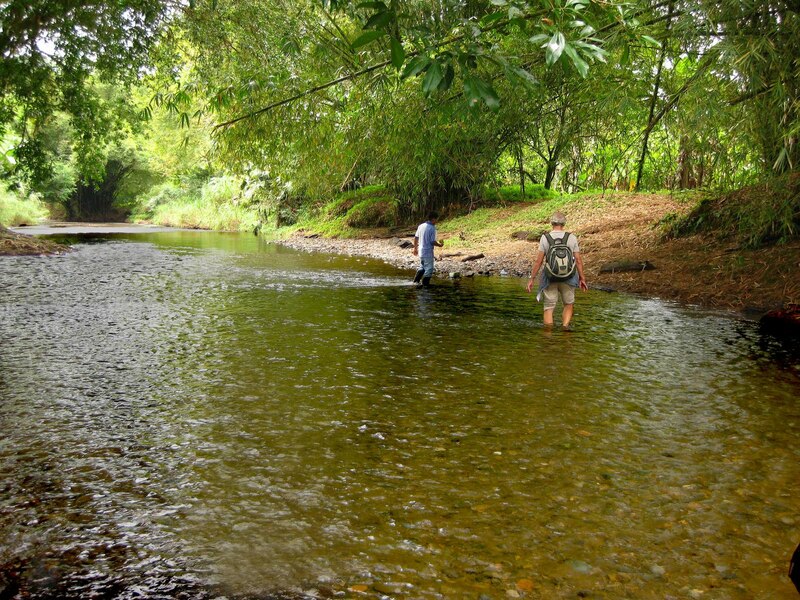 Then hike along the river, fairly easy, go swimming. This hike trail can take you to Potrerillos. 18. Potrerillos from Las Brisas canyon 4-5 hours. Hike from Las Brisas to Potrerillos and back along dirt roads very seldom used. 19. 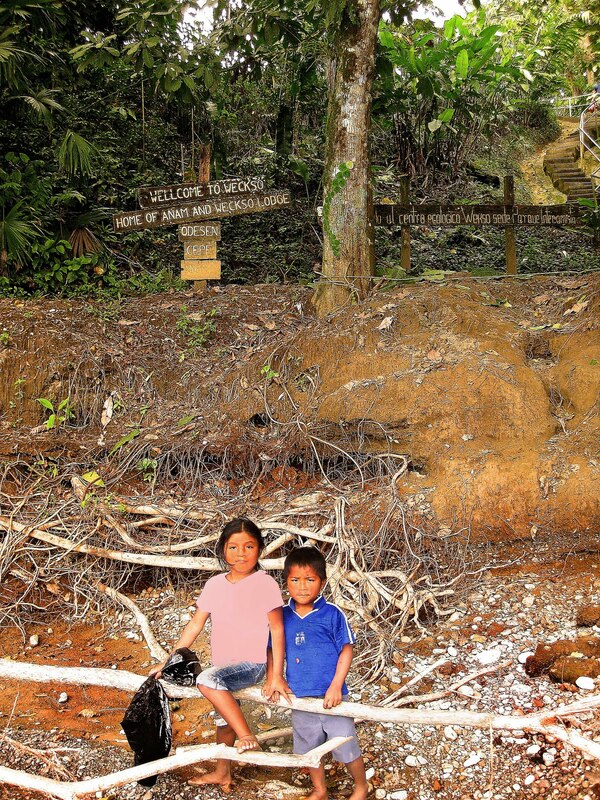 Caldera trail begins along river to new Hot Springs “Mi Abuela Termal” 4 to 5 hours. Hike on a dirt road it is an easy hike but is very lengthy and hot. At the end of hike, soak your body in the Caldera Hot Springs or go for a swim in the river. 20. Palo Alto Road to Canopy Tree and beyond into rainforest area 4-5. Start at the “Springs” walk on road which is at a slight incline all the way. Once you reach Canopy Tree walk across river on a footbridge. 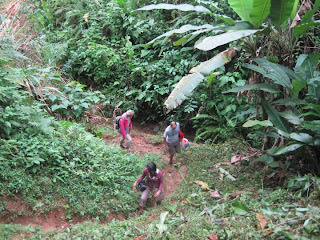 This is a wonderful rainforest hike; narrow trail on a steady upward incline, soggy, and slippery in areas walking is helpful. I am looking at this list of trails and thinking WOW! I had not realized until this writing the many trails we have hiked since we began hiking. It certainly has been, without a doubt a most fantastic, terrific and exhilarating activity exploring new hiking trails and being able to share them with you. Hope you join us on Saturday and Thursday. Happy trails! Remember continue to Explore. Dream. Discover. A welcome "bienvenidos" sign on the side of a room and children playing on one of the many cayucas a canoe made by the men in the village. were very clean and comfortable. 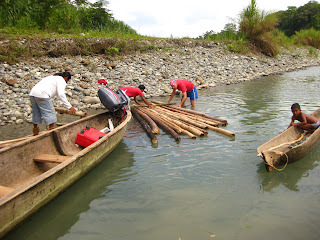 Our hosts were working on the water situation during our stay and so it was sponge baths or swim in the river. 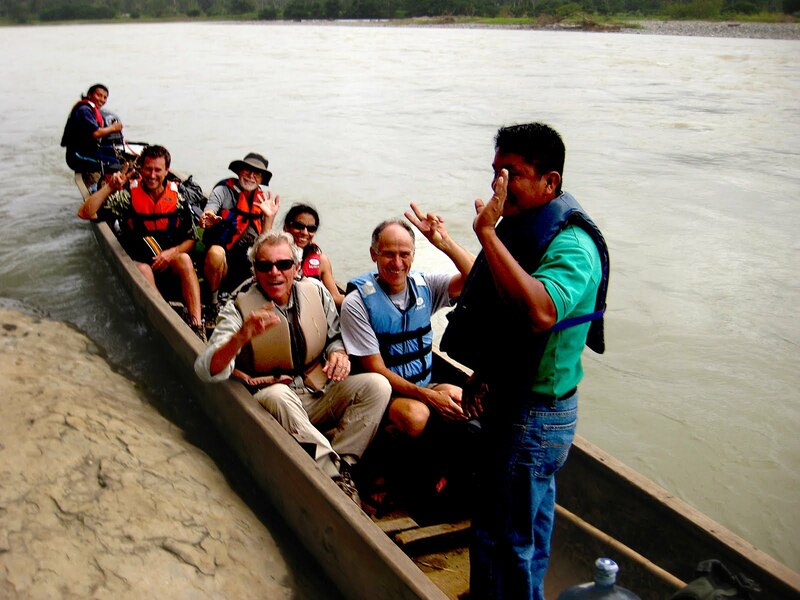 I have learned that staying in a Comarca may be challenge for some, but, if you want to know the culture first hand then it will prove to be a wonderful experience. Hiking up to a mountain top and came across a Brown Tree Frog. 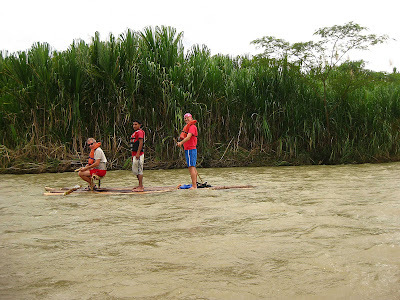 While on our way to visit a village, I notice the river was so shallow that, we had to get off and be led onto an island of river rock bed as, we learned the canoe was touching the bottom. 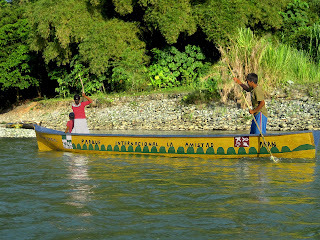 We waited on the other side where it was deeper got back into the canoe then continued on, our merry way. 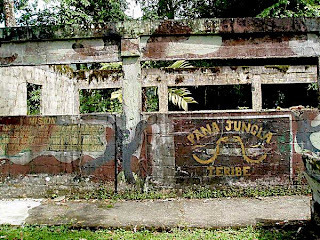 Still standing today is the Weskco Lodge a reminder of a grim history as the former site of Pana-Jungla, a jungle-warfare survival school where elite Panamanian and foreign troops went through legendarily and difficult training. It was closed in 1990, but spooky remnants of the camp include a cage that once housed a black panther, the ruins of barracks, officer quarters, and a serpentarium that once held Panama’s deadliest snakes. 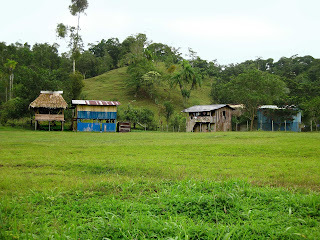 A few village homes we came across along our hike. All are made of wood with some thatched or metal roofs. 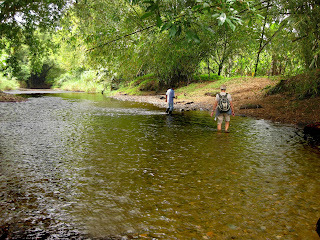 Wading through one of the many small rivers in the jungle trails. 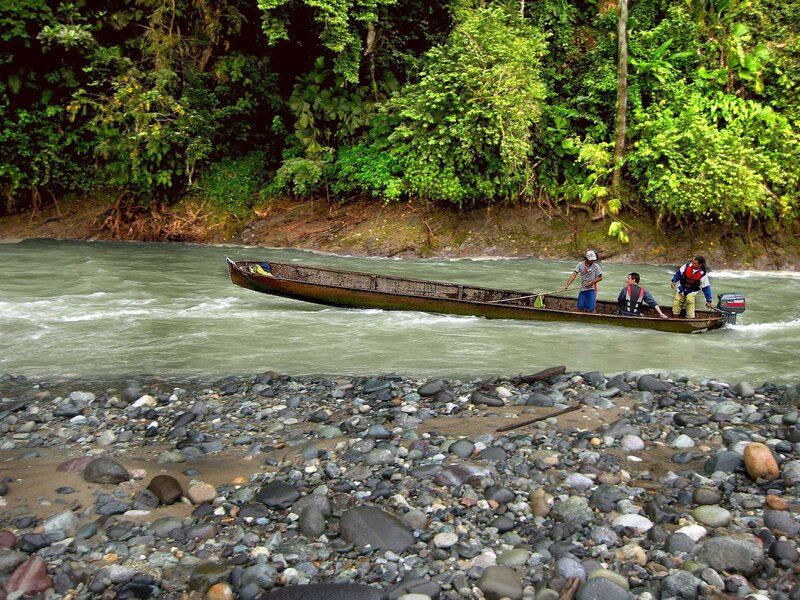 A day hike into one of the Naso villages, along the Rio Teribe. 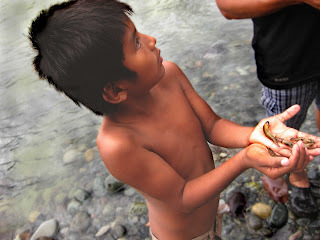 Geraldo, showing us a few shrimp, he hand caught on the river bank. Making a bamboo raft with our guides. Opps! Floating on the balsa raft on the Rio Teribe. Will it sink? Let's hope not. Success for the captain (center) and his mates! 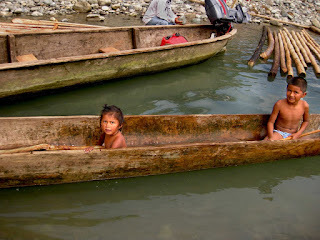 ﻿﻿﻿﻿Two Naso children waiting for us at the edge of Rio Teribe. Retiring outside of the USA to experience a different life style, to live a slower pace, learn a new culture, and have a new experience. I have always wanted to live abroad and after much research, vacationing in places on my list worth retiring in. Would it be Oaxaca, Chiapas, Guanajuato Mexico, Belize, Costa Rica? While fantasizing and dreamed about this for years. My dream finally became a reality. I made the move five years ago - am "living my dream" in Boquete, Panama and lovin' it! My motto "you do not have to be a millionaire" to live comfortably abroad. Living here is not only wonderful it is beautiful as well. Lovin' it in Boquete and living my dream. To me life is a bowl of dreams, and they can become reality. Or life can be a bowl of.....of whatever you want it to be!! How did you enjoy this posting? or call me as well in Boquete on my cell 6732-8248. "Life is good in paradise"